Get more for your money at the Quality Inn hotel in Flagstaff, AZ near Northern Arizona University. This pet-friendly hotel is located near destinations like Arizona Snowbowl, Lowell Observatory, Grand Canyon National Park and Lake Powell. Sedona, the Painted Desert, Meteor Crater and Petrified Forest National Park are also close. 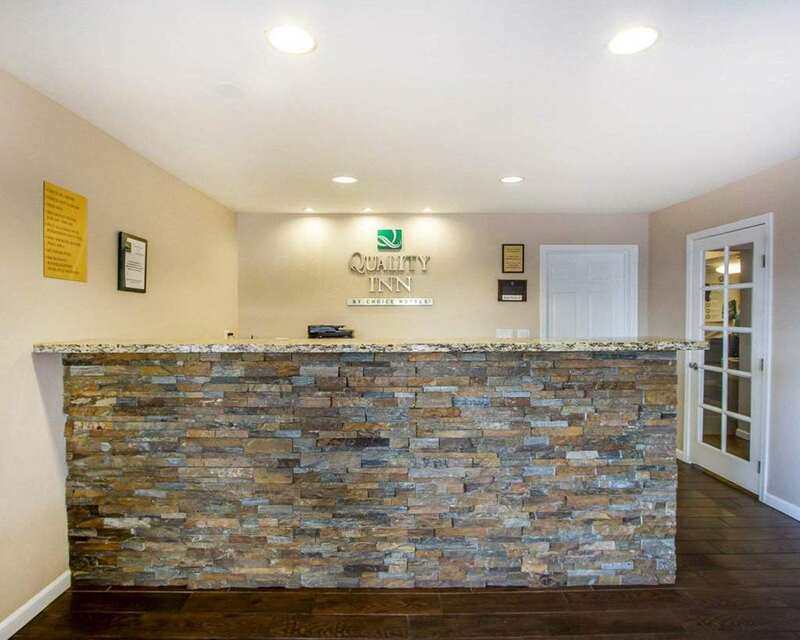 Enjoy amenities like free hot breakfast, free WiFi, fitness center, guest laundry facilities, outdoor heated pool and access to copy and fax services. Rooms include a flat-screen TV, coffee maker, iron and ironing board. Also, earn rewards including free nights and gift cards with our Choice Privileges Rewards program. Pet Charge: 15.00/stay. Pet limit: 2 per room. All local guests must present a credit card upon check in. HNQQ: No Roll-in-shower.